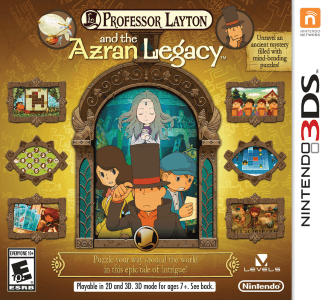 Professor Layton and the Azran Legacy is a puzzle game developed by Level-5 for the Nintendo 3DS. It is the sixth entry in the Professor Layton series, making up the third and final part of the prequel trilogy of games. The game was published by Level-5 in Japan and Nintendo everywhere else. Professor Layton and the Azran Legacy works well in Citra. Graphically the game looks good, and it runs well on decent hardware. Audio suffers from minor stutter, but there seem to be no major bugs or crashes aside from daily puzzles.